(Leah Hogsten | Tribune File Photo) Colton Thompson (left) of Clinton and Austin Bennett (right) of Riverdale scope the hills and forest near Six Bit Springs in the Monte Cristo area of Cache National Forest in 2008. 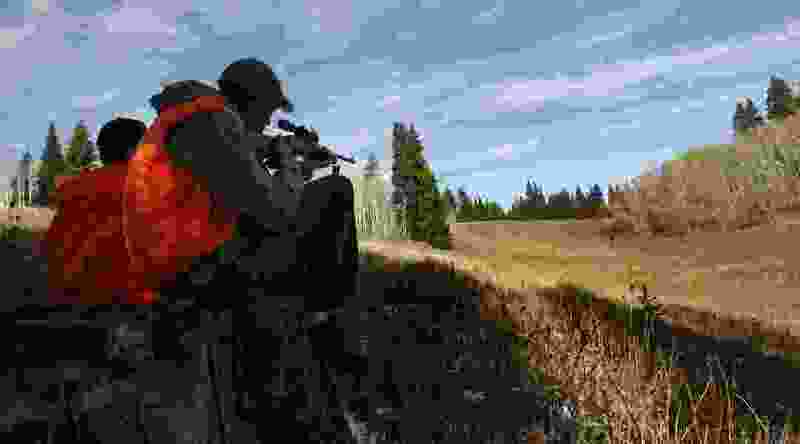 If you plan on hunting big game in Utah this fall, you’d better start thinking about applying. Applications to hunt most species, including mule deer, are due no later than 11 p.m. on March 1. The best way to apply is to go to wildlife.utah.gov/biggame. The webpage offers all kinds of information that should help hunters decide which permits they might want. These include maps, drawing odds from 2017, and the success hunters found last year on units throughout the state. Hunters who have questions on how to apply for the hunts should call 1-800-221-0659.